Tomorrow, nursing staff in the Youth Program at the Royal will offer the flu vaccine to inpatients. This is the kind of public health work that nurses often do, education and prevention, and they are very good at this work. But, inevitably, from time to time, they will have to present the science that vaccines work and I have pulled together my approach to flu vaccine advocacy. I prefer the World Health Organization website information which includes an article that lists the proven benefits of vaccines, including all the scientific references. Let me present the abbreviated version I’m going to use if anyone asks me tomorrow why I think they should use vaccines. I remind my patients (and anyone who’ll listen, really) that there are four different categories of vaccine-related benefits: diseases are controlled; the unvaccinated population is protected; related diseases, even cancer, can be prevented; and there are other societal benefits as well, such as economic growth, promoting equity and even peace. These benefits are all proven in studies and the WHO website lists those studies for the skeptical. 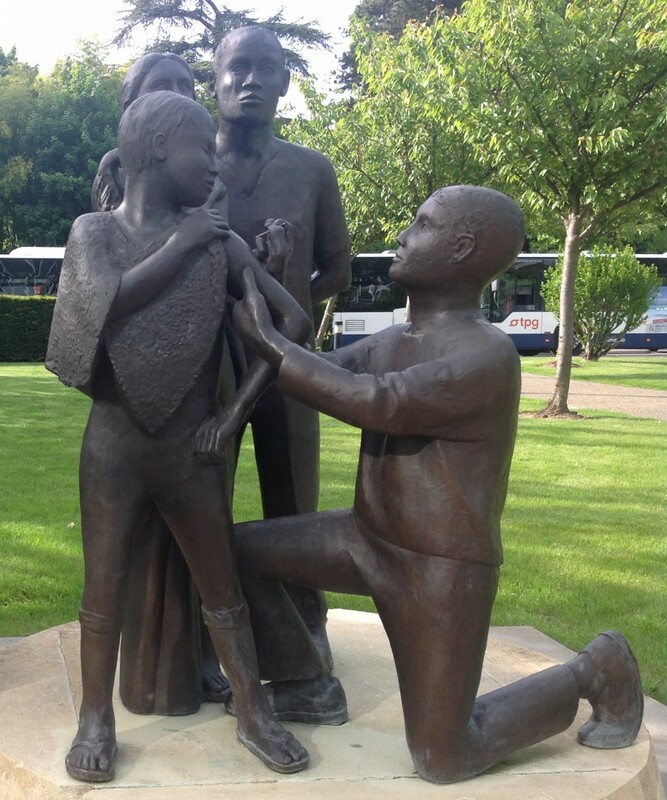 To present a compelling argument regarding disease control, I am going to keep handy the picture below of the statue erected at World Health Organization Headquarters when smallpox was eradicated. Smallpox was declared eradicated in 1979, almost forty years ago. This took an international effort and even countries that couldn’t get along for other reasons got along to eradicate small pox. They are now working to eradicate polio, with a timeline to complete this by 2018 – next year. This will be a historical event of great importance, again the result of a level of international cooperation that is now rare. I am going to emphasize that vaccination against certain infections can prevent other diseases, including cancer. Prevention of chronic liver infection with the Hepatitis B vaccine can prevent liver cancer and even now, barely 10 years after the introduction of the HPV vaccine, scientists are measuring the decrease in incidence of cervical cancers caused by serotypes 16 and 18. Finally, I am going to speak about all the societal benefits. I am going to begin by summarizing the savings. It is well-established that public health measures save $7 for every $1 spent, but vaccines are sometimes even more economical. Some studies are now available that show that $10 can be saved for every $1 spent fully vaccinating very young children. As for equity, the burden of the diseases that vaccines can prevent is borne mostly by the disadvantaged. When this burden is lifted through vaccination, these groups are more likely to flourish. As for peace, the United Nations Children’s Emergency Fund (UNICEF) has medicated at least 7 cease fires during civil conflict that were related to vaccines. Even people in conflict can resolve some differences so that disease can be prevented. Being vaccinated is one of the few things a person can do for the greater good and know that they are being effective. I hope that my young patients will be convinced with this science of the value of vaccines, but I will still thank them just for listening to my public health service announcement. 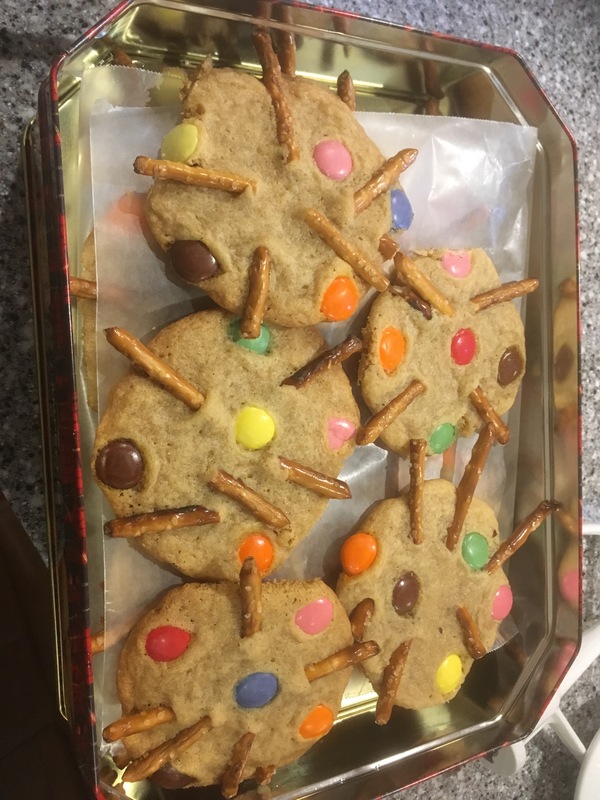 I have also made cookies that look like viruses (sort of) for the vaccination celebration. Vaccines deserve celebrating, I’ll tell them. Get the flu shot. Have a cookie. Promote peace.